The design and subsequent order in 1945 of 200 Type 5 Na-To Self-Propelled Guns by the Japanese Army was a reaction to what was becoming an increasingly desperate situation in the Pacific. The might of American manufacturing born in places like Detroit was churning out tanks like never before, while the Japanese Empire was facing an increasing shortage of raw materials to build any vehicles of war, much less tanks. The aging and relatively small number of Japanese tanks Imperial Japan had for the ground defense of its empire could not be replaced or redesigned quickly enough to deal with the onslaught of M4 Shermans and other armored American vehicles, and thickly-armored tanks were too resource-intensive to build quickly in large quantities. 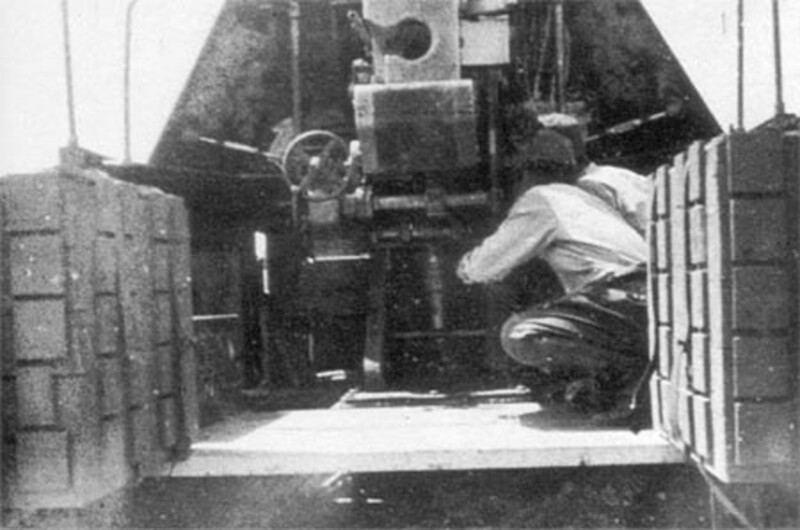 The Japanese did however have a powerful anti-tank gun in development, the Type 5 75 mm Tank Gun, and the Type 5 Na-To was a way to carry it without expending as much in the way of resources. The Type 5 gun was meant for use on tanks such as the Type 4 Chi-To tank, but the Chi-To was a resource intensive vehicle to build. A relatively inexpensive alternative that could get the Type 5 gun out in the field en-masse as an anti-tank weapon was the Na-To. 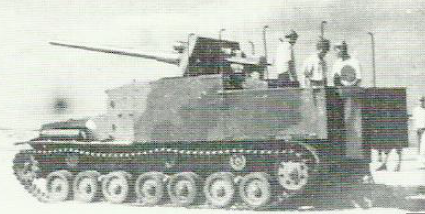 The Type 5 Na-To made use of the Type 4 Chi-So medium tracked carrier, which was more like a truck, and which also supported the Ha-To mortar launcher. The superstructure had an open top and rear, with an enclosed lightly armored driver’s cab similar to the one on the Ho-Ki armored troop transport. Also similar was the truck-like grille up front. While the Chi-To was a true tank built to go toe-to-toe with U.S.-built Sherman Tanks, the Na-To, like its platform-mate the Ha-To, was a tracked armored carrier, meant to serve in a support role out of the line of fire. Since it was lightly armored, it also weighed much less, and was by definition more mobile on varied terrain. The Na-To weighted a mere 15 tons versus the 30 tons the hefty Chi-To weighed in at. Also by definition, the Na-To would have required roughly half the resources to build. The Na-To’s thin armor was not meant for close tank-to-tank combat, and with a maximum 12mm of thickness, it was meant only for protection from small arms fire. 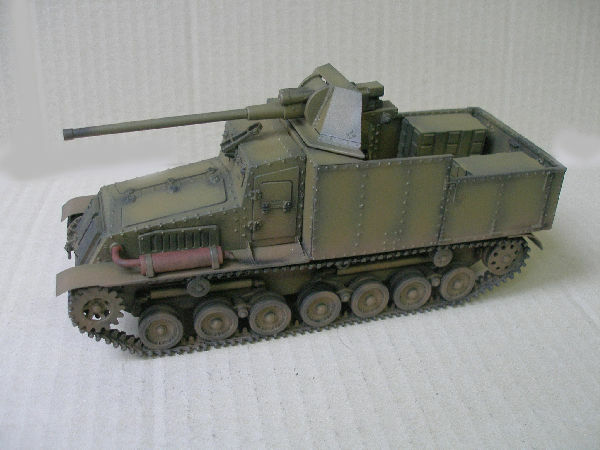 Compare that to the older Ho-Ni III SPG, which had up to 25mm of armor, and you can see that the Na-To was not a true replacement for the Ho-Ni III, but rather another alternative in Japanese anti-tank warfare. Given the more truck-like carrier chassis, one must come to the conclusion that the Na-To was conceived of as a cheap way to provide a mobile mount for the powerful 75mm tank gun, with the aim of taking out thickly armored American tanks from a distance. Rather than put the 75mm gun into an armored and enclosed SPG like the Ho-Ni III, the Na-To was built with a different role in mind. 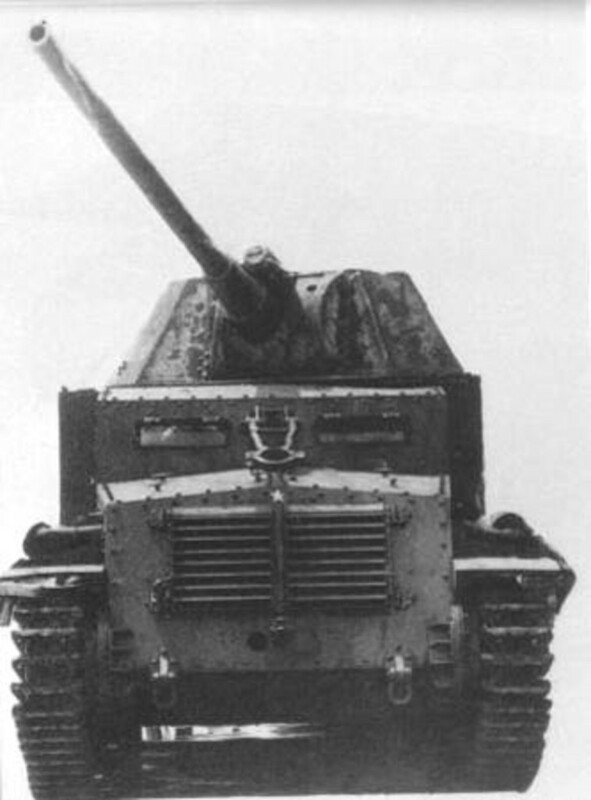 With its open superstructure, the Na-To also afforded its crew the ability to more accurately target enemy tanks than the limited view the enclosed turret of the Chi-To could offer. With its design wrapping up in 1945, the Japanese army issued an order for 200 units to be completed, but in the end only 2 prototypes were made before Japan’s surrender. The Na-To ended up as a rather obscure prototype with only a few grainy photos to prove it ever existed, and it was unable to live up to its promise of being a mass-produced and inexpensive mobile anti-tank weapon. Why? The Na-To is a no-brainer for game developers who already have the 3D models for the Chi-To and Ha-To, since it can use the gun of the Chi-To and all associated damage modeling, while re-using the motorized platform of the Ha-To. It is also relatively unknown as a weapon, which gives it some appeal for being something “new.” Since it is not just paper-based and had two actual functioning prototypes, it could appeal to the history buffs as well. Game Scenarios: In an alternate history where Japan is given ample time to produce dozens of the planned Na-To vehicles, a line of the SPGs could wait along an elevated ridge on the shores of mainland Japan for the arrival of American tanks. Fortified and protected behind walls of sandbags, the Na-To SPGs could prove a serious threat with their 75mm guns, and could move to re-position themselves for a second assault once the Americans are too close for comfort, rather than be lost like artillery in fixed positions would be when overrun. In a single-player scenario, a commander of a Na-To could feel the thrill of having a powerful gun at his command, but with the constant danger of a high-profile body and weak armor, the player would need to be extra vigilant for enemies that could close ranks quickly, since even light tanks or armored cars could threaten the Na-To.